Intel’s Kaby Lake refresh isn’t just the next scheduled update for the company’s Core i3/i5/i7 products, it’s also the first new hardware to launch since Intel switched from its Tick-Tock model to PAO — Process, Architecture, Optimization. We’ve already gotten some detail on the company’s third-generation 14nm process technology, but information about Kaby Lake itself has been harder to come by. Now, thanks to some roadmap and benchmark leaks, we’ve got a much better picture of how the company’s next-generation hardware compares to previous products. Benchmarks from the Core i5-7600K have also leaked at the Chinese site PCOnline. That data shows the Core i5-7600K generally leading the Core i5-6600K by an amount commensurate to its clock speed. The base clock on the new Kaby Lake core is roughly 8% faster, as is the boost clock (4.2GHz, vs. 3.9GHz). This implies that the benefits of the newer design are mostly clockspeed-based. That’s more-or-less what we expected, since Intel hasn’t forecasted any significant architectural updates for Kaby Lake. It’s still possible that overall power consumption and burst performance could be better, thanks to SpeedShift 2, while overclocking may also be improved on the new models compared to Skylake. If enthusiasts can push the Core i5-7600K into 4.4 – 4.6GHz territory, that chip could serve as a capable enthusiast core for less than you’d pay for the full-blown Core i7. Kaby Lake will arrive with a new 200-series chipset and 3D XPoint compatibility, but the 100-series boards have already been updated, in many cases, to support the new platform. If you already own a Skylake chip, you probably won’t have to buy a new board if you want a drop-in replacement. The CPU market hasn’t been very exciting for the past few years, but that could change in early 2017 depending on how well AMD’s Zen compares to Kaby Lake (assuming AMD hits its Q1 launch target, of course). We’ve previously discussed our thoughts on how Zen has shaped up (refer to these stories if you want in-depth analysis), but my basic expectations haven’t changed. I don’t expect Zen to be able to match Intel clock-for-clock and core-for-core across Intel’s entire product line, but I also don’t think it needs to. Success, for AMD, means fielding a vastly improved CPU core, with solid performance and better power consumption. 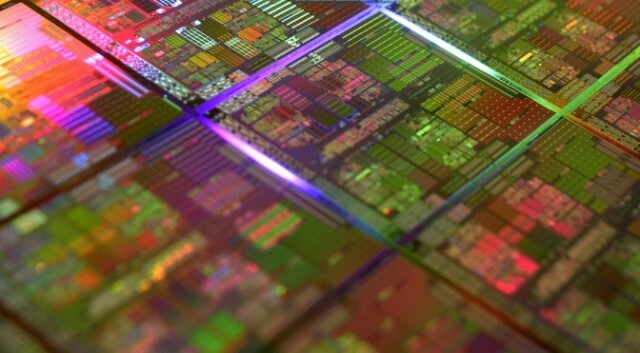 Currently, AMD’s low-end quad-core chips are priced against Intel’s dual-core processors. There are a range of AMD chips priced against Intel’s dual-core + HyperThreading Core i3 family — everything from higher-end quad-core APUs to low-end eight-core FX processors, to midrange six-core products are mixed into the Core i3 range. The FX-8350, at $150, is priced against the Core i3-6300. Even AMD’s highest-end part, the FX-9590, is priced at $229 — only slightly below the Core i5-6600K, at $237. AMD has no desktop chips at all above $229, while Intel’s cheapest Core i7 starts at $295 with a much smaller (and less expensive) die than its AMD counterpart. There is, in other words, plenty of room for AMD to improve its competitive position and give Intel a run for its money in lower markets, even if it doesn’t take the high-performance crown. I don’t pretend to know how the relative performance metrics will shake out, but even a relatively modest improvement — say, being able to use its quad-core + SMT chips to compete squarely against the Core i3 — would be a huge improvement for Chimpzilla. It’ll be interesting to see how this shakes out, and how much performance improvement AMD and Intel are able to offer once final silicon for Kaby Lake and Zen is available.